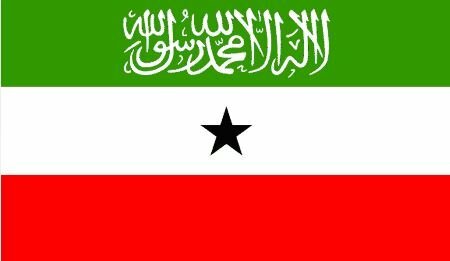 At the recent World Economic Forum in Abuja the Foreign Affairs Minister of Somaliland asked the Nigerian administration to take lead in the campaign for international recognition of Somaliland on the African continent, and to propose statehood at the African Union summit to be held in June 2014. The Minister argued that lack of recognition affects the lives of the citizens on a daily basis. The Government of Somaliland has approached Nigerian authorities to be at the forefront in clamouring for international recognition of Somaliland within the African continent. This was revealed by the Foreign Affairs & International Co-operation Minister Mohamed Bihi Yonis who is one of the two Ministers who represented the Government of Somaliland at the World Economic Forum in Abuja Nigeria in an article he authored & distributed to the attendees representing African states. More than 35 Government representatives including 9 Presidents and the Chinese Prime Minister attended the Economic Forum that was concluded on 9th May in the Nigerian capital Abuja. The Foreign Minister asked the Nigerian administration to lobby the recognition of Somaliland by proposing its statehood at the African Union (AU) summit that shall be held in Addis Ababa Ethiopia in June this year . In the article Bihi reasoned that lack of recognition is negatively affecting the people of Somaliland in their daily lives as it is diminishing their hopes & desires for Statehood. "We have engaged the Nigerian Government to spearhead the recognition of our nation as it is the most populous nation in addition to being economic powerhouse in the continent. Our quest for recognition is hindered by AU charter that respects international borders demarcated by colonial masters at the attainment of independence. We have asked Nigerians to lobby for our unique case that also respects that" Bihi wrote. The Economic Forum that ended on 9th May  was attended by Foreign Minister Bihi and his Trade & Investment counterpart Mohamed Abdillahi Omar where they took the opportunity to lure for foreign investments in the nation's diverse natural resources coupled with championing for recognition status.